news Specialist beverage company Campari has replaced HP tablets with Microsoft Surface Pros within its sales team, and is now rolling out the devices across the remainder of the business. Campari describes itself as a ‘leading player in the global branded beverage industry’. It is known for its namesake, the Campari alcoholic spirit, but it also sells American Honey, SKYY Vodka, Appleton Estate Rum, Coruba Rum, Aperol and Frangelico, for example. Locally, the company has more than 100 staff, with sales offices around the nation. Back in October 2013, Campari revealed it had deployed a number of Windows 8-based tablet devices from HP (choosing the tablet over the Apple iPad), as well as having plans to deploy Windows 8 more generally in the business’s desktop and laptop fleet. At the time, the company said the tablets had been deployed to its sales and marketing team. However, this week Microsoft issued a new media release stating that in July 2015, Campari Australia had rolled out the use of Surface Pro 3s to its entire 60-person sales team, replacing HP tablets that were previously used. The results have been so positive that the rest of the Australian team is now to receive the devices, the firm said. Executive team members have already received their Surface Pros and deployment will continue to the rest of the business in 2016. 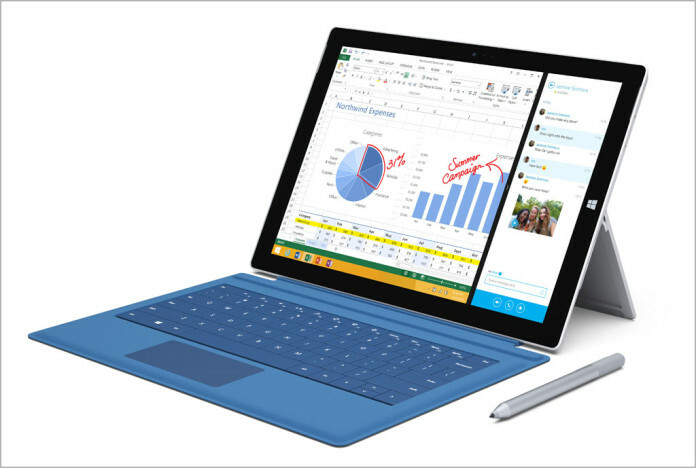 The Surface Pro 3 adds a new dimension to the sales process, the firm explained. Not only is all the information on each customer available via the CRM system, but all product information, presentations and videos can be shared with customers in real-time. Further, orders can be taken directly on the device, expediting the sales cycle. The portability of the Surface was also cited as an important factor for the sale reps.
“As the service expectations of our customers change, we really need to be ahead of the curve in terms of leveraging digital and technological advances to meet those expectations,” Madigan said. “Our first foray into the mobility world was with a traditional tablet device,” Herbin said. ”We wrongly assumed that our sales team would be using the devices to simply show presentations they had created at their desks. However we soon learned they wanted to use the devices as they would a desktop computer – and with the Surface Pro 3 they are certainly able to do just that. The IT Director explained that one of the features the sales team appreciated most was the Surface Pen and the way it integrated with OneNote. “The ability to draw – precisely might I add – directly onto the device on OneNote was something that resonated really well with the sales team. It’s a feature they are using at almost every meeting, finding it provides a real interactive dynamic to the sales process,” said Herbin. Outside of the Surface Pro 3, Campari Australia is also leveraging the entire Microsoft stack. All Australian employees use Microsoft Lync and will be moving to Skype for Business in the near future. Also, the company is using SCCM together with WSUS to push updates to the workstation and Microsoft MDT to deploy the tablets. Campari Australia is also looking to deploy Windows 10 across its Australian workforce, a project which is currently in the beta phase. The article title and the first paragraph contradict one another. Sorry, that’s my fault, I’ll fix. No, he’s a real person — he’s a contractor who writes up media releases that I don’t want to do myself. Well Microsoft is one to watch!